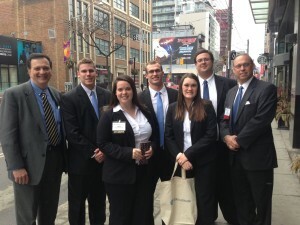 Harding University’s Chartered Financial Analyst Investment team from the Paul R. Carter College of Business Administration placed 16th in the CFA Institute’s research challenge championship March 20-22 in Toronto. They competed against 775 other finance teams from North and South America. Harding’s team successfully defeated teams from universities including Kansas State, Belmont University, University of Pennsylvania and many more. As a result, these students placed Harding’s finance program in the top 2 percent finance programs in the Americas.